West Coast Time made it two from two for favourite backers at Gowran, as he took the Racing Again Tomorrow Maiden Hurdle on his debut over flights. The Joseph O'Brien trained five-year-old won a bumper on debut at Cork in January, and was last seen finishing third on the level at Listowel earlier this month. Having opened at 9/4 on-course, the son of Westerner eventually went off the 15/8 favourite with JJ Slevin in the saddle. Settled in second, the bay victor jumped the first slowly, but warmed to his task as the race progressed. He improved to lead after four out, and kept on well under pressure from before the last, going on to prevail by three and a quarter lengths in the colours of Michael Tabor. 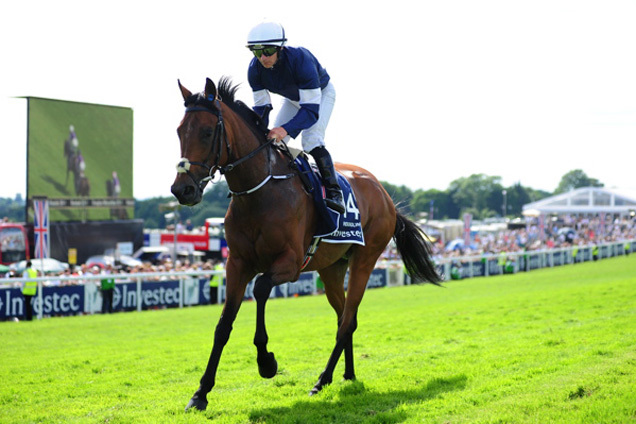 "He was quite leery and was very green at his hurdles but he's a nice horse and had good bumper form," said O'Brien. "He had a good look at the first and he even had a good look at the second last. No harm done though. "I was watching it from the stands so it was hard to see but he jumped the fourth last and kind of ended up in front. For his first run over hurdles he was left in front with plenty of time. "Still and all it was lovely. He should stay further as well. "We'll think about stepping up in trip but he'd definitely be better when we can drop him in a bit more. We'll look for a novice and I don't think we need to go aiming too high yet." 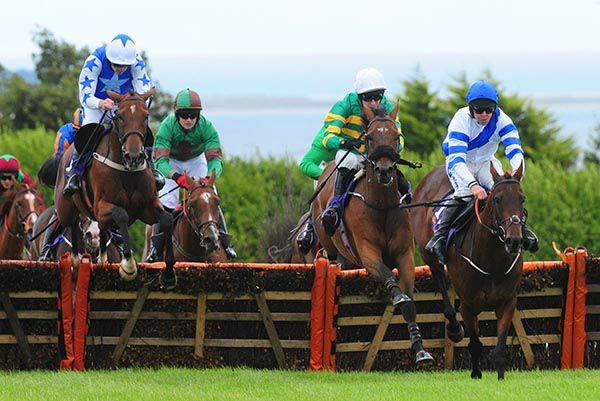 We had two winners over the weekend; our horses are running well so I’m delighted with how the racing went. Long may it last! Lets Twist Again won nicely at Navan on Saturday and Ligeti really likes Dundalk so it was great to have the few winners. Yesterday we had the Beresford Stakes in Naas and my Father had the first two home which was great to see. Saxon Warrior, the winner, was very impressive and travelled well. He really handled the ground and looks like a brilliant horse. He looks perfect for some of the classics next year. Next weekend is a huge weekend of racing with Enable up at the top of the betting for the Prix de l’Arc de Triomphe . I’ve been hugely impressed with Enable so far. Obviously she’s a very short priced favourite for the race and rightly so; she’s done nothing wrong all year. She’s a truly amazing horse. There’s an extremely high calibre of horses in the race between Ulysses and all of my Father’s runners too including Eminent. It has all the ingredients of being a top class Arc again this year. It looks like a very competitive race and I’m looking forward to it. There’s also some great racing from Newmarket at the weekend which will surely give some clues for next year. It should be a great weekend. Clemmie has certainly caught the eye. She runs in the Cheveley Park Stakes which is shaping up to be a top quality renewal. She’s getting better with each run and I’m really looking forward to seeing how she performs at Newmarket. Landofhopeandglory gained a second Grade 3 win at Roscommon today, as the J.P. McManus owned four year old gelding landed the featured Irish Stallion Farms EBF Kilbegnet Novice Chase. The son of High Chapparal had finished fourth in the worlds away Queen’s Vase at Royal Ascot in 2016 and was today following up a Grade 3 novice hurdle success gained at Fairyhouse last December. Today,Landofhopeandglory arrived under jockey Mark Walsh to lead approaching the final fence and from there, held off the challenge of McManus’ other runner Rock On Fruity, under Barry Geraghty, by length at the line. Winning trainer Joseph O’Brien was represented by McManus’ racing manager Frank Berry who later said “the second horse (Rock On Fruity) probably threw it away at the second last and that lad battled away well. “He had a hard old fall in Galway and Mark (Walsh) said he was a little bit cowardly early on today, but he warmed up to it well and got the job done. “He'll chip away at those novices for the winter and see how he gets on and he seems to handle the conditions quite well. “It was a lovely race with a grand prize (E23,000 for the winner) and we'll see how he comes out of it. A tilt at Melbourne Cup glory remains under consideration for Rekindling following his fourth place in the St Leger at Doncaster earlier this month. 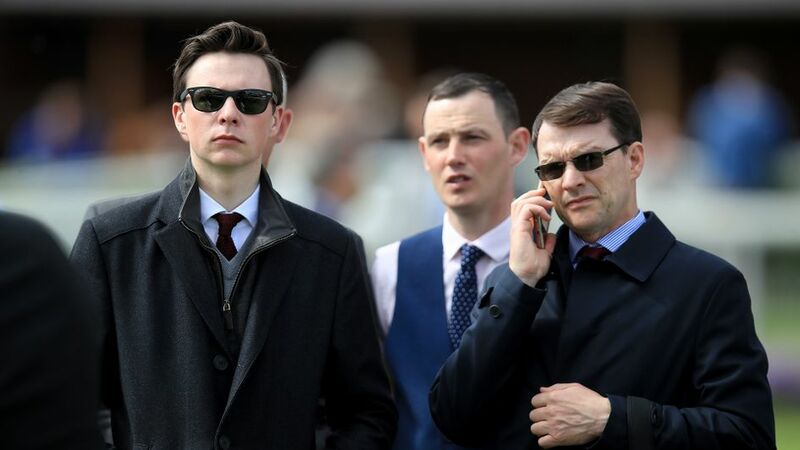 Joseph O'Brien's three-year-old was doing his best work at the finish on Town Moor and was beaten just two lengths into fourth by Irish Derby hero Capri, trained by O'Brien's father, Aidan. Rekindling is owned by Australian businessman Lloyd Williams and holds entries in both the Melbourne Cup and the Caulfield Cup in Australia. Should he remain at home, the Qipco British Champions Long Distance Cup at Ascot on October 21 is a potential target. O'Brien said: "He's come out of Doncaster well. We're very happy with him. Australia is still under consideration and Ascot is an option as well. I'd say it's 50-50 between the two at the moment. "If he's going to Australia I think he needs to go into quarantine on September 28, so we've got to decide before then. "If he goes to Australia, he's in the Melbourne Cup and the Caulfield Cup the week before. The Melbourne Cup is probably the more likely." The J.P. McManus owned, Joseph O’Brien trained Let’s Twist Again (9/1) gained an overdue maiden win at Navan today when landing the Sequence Events Handicap Hurdle under Mark Walsh. The son of Galileo failed to win in 14 runs during the past 15 months and today looked booked for second spot, having surrendered his lead before the final flight. However he rallied gamely on the run-in to peg back Wee Small Hourse close home, for a half length win. I joined Joseph (O'Brien) on Monday and that's my first ride for him. I came back from England last week. My weight is good now and I'm going to stick to the Flat," said Sean Corby after winning the Dundalk Stadium Apprentice Handicap on Ligeti (5/1). Joseph has care of this Rip Van Winkle gelding for Michael Tabor and in this mile and a half heat he clung on by a head from Dancing Doll. "Hopefully Joseph will have plenty of horses and I'll be able to ride away over the winter," Corby went on to say. 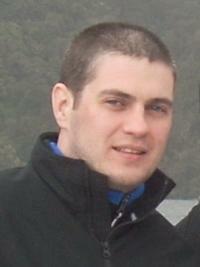 "I thought Oisin Orr was going to get me but when he got to my lad he picked up again. About a furlong down I had a look up and his old ears were a bit pricked so I knew there was a bit left." A great week was had at Listowel. Obviously we only had one winner but I enjoyed the week all the same. Arkwrisht ran very well in the Kerry National. He was just beat by half a length by Potters Point and was a little bit unlucky really. The ground was against him a little bit but we still had a good week in general and I was happy with how our horses all ran. I’ve no major plans for Arkwrisht just yet. He’s still a novice so all the novice races are open to him. Obviously he has ran very well in a big handicap race now too so he has lots of options and he’ll have a good few entries but we haven’t made our mind up just yet. Saturday’s St Leger at Doncaster was a cracking renewal. Rekindling ran very well to finish fourth and we’re very proud of him. At the moment he’s entered in Australia and he could also go to Champions Day at Ascot. He has a couple of options and no real decision has been made yet. I’m very happy with the way he has progressed throughout the season. He started the season off very well and has only had one real blip all year, in the Derby, and I wouldn’t mind another couple of horses like him. What a performance from Irish Derby winner Capri to win the race. He stays well and has a lot of class, a brilliant horse. We’ve plenty of horses back in work now for the National Hunt season, obviously it’s light enough work at the moment. We haven’t come up with any major plans as to where they’ll start off yet but we do have a nice bunch of horses and I’m excited for the season ahead. Last year wasn’t a great year for Ivanovich Gorbatov but we’re really looking forward to seeing how he’ll go this season. We have a lot of nice young horses in the form of Le Richebourg, Tigris River and Housesofparliament to name a few which I’m excited about. Joseph has a new horse Shalailah. Slowmotion is aptly named today and can take the Guinness Kerry National on what will be desperate ground at Listowel for Joseph O'Brien. Connections of Coneygree decided to stay away from the race due to the impending rain and, with the aid of reflection, it may not have been a crazy call, as the weather yesterday rendered the Flat ground barely raceable. 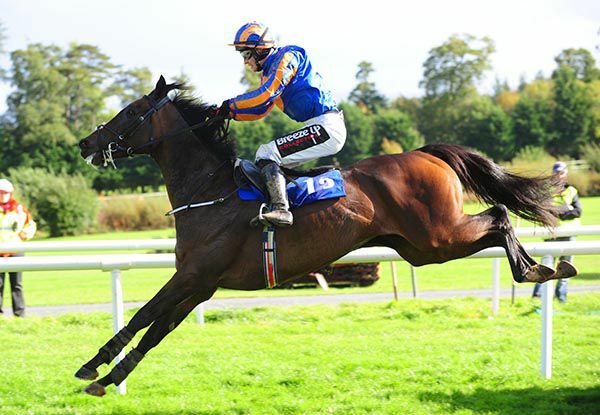 Slowmotion has fair claims under Mark Walsh in this €175,000 contest, since she finished third in the Galway Plate. That was quite a performance from a five-year-old filly, and there should be more to come, though conditions as demanding as today's may be disconcerting. 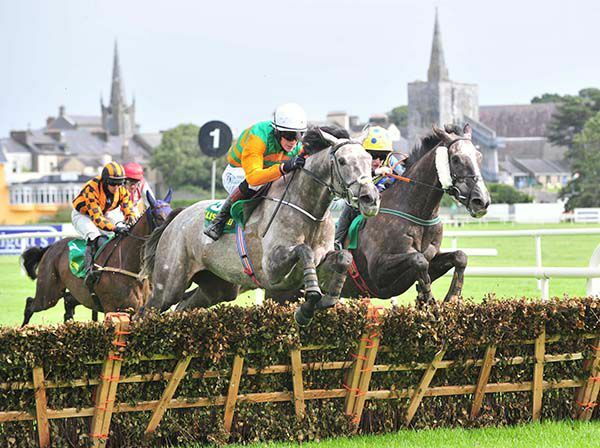 Grey Waters made it two from three over flights as she took the opener at Listowel, the Kerry Group 3yo Hurdle. Without a win in ten starts on the level,Joseph's grey filly was second on her debut over hurdles at Cork last month. She got off the mark on her next start at Killarney, and proved easy to back today, opening on-course at 3s before going off a 7/2 chance (was as short as 2/1 in early shows). Settled behind the leaders by Shane Shortall, she took closer order from four out. She improved to dispute the lead on the approach to the second last, and soon gained a narrow lead. She was tackled by Masterstonemason on the approach the to last, and needed to be ridden out on the run-in to see off that rival by neck. The runner-up was returned at 11/1 under Rachael Blackmore for Flan Costello, while 100/1 chance Randalls Ur Poet was another seven lengths back in third for Mark Bolger and Seamus Fahey. The winning rider said afterwards: "She is very tough and my biggest issue was getting something to get me a tow into the home straight as she is a little bit idle in front. "She kept finding and is a really tough and genuine filly. I spoke to Joseph (O'Brien) this morning we discussed ground issues and we thought she had one of the best chances as she had form on that ground on the flat. "It is very testing out there and is very tough going but it suited her well." Damselfly made the breakthrough on her eighth start, as she took the opener at Down Royal, the Irish Stallion Farms EBF Maiden. Trained by Joseph O'Brien, and owned by his mother Annmarie, the daughter of Power was beaten by small margins on two occasions earlier in the summer. She was fourth to Golden Spell on her last start at Bellewstown, and she was sent off the 2/1 favourite today (6s last night and from 3s on-course) with Wayne Lordan in the saddle. Settled behind the leaders on the outer, she was pushed along with two furlongs left to race. She was ridden in second from the furlong pole, and stayed on best in the closing stages, going on to score by half a length. Kimono Girl (5/1) led for much of the contest, but she couldn't hold off the winner, and had to settle for second under Chris Hayes for Edmond Kent. The Johnny Feane trained Stewardess (11/4) completed the placings another length and a half back in third with Declan McDonogh in the saddle. Lordan said afterwards: "She travelled quite well. The ground was a little bit slow for her today, it's soft ground and I rolled around a little bit in it but she's a very consistent and genuine filly. "She went to the line well. Another furlong would be a help as well. I suppose she was entitled to win that. 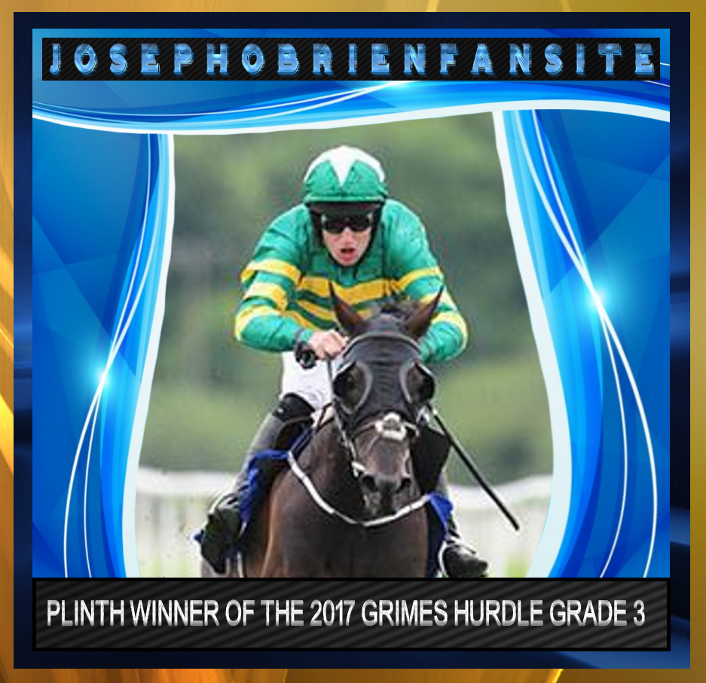 "Joseph (O'Brien) was confident, he was just afraid of the ground to be honest. It went a bit soft but we got away with it today. "It is loose but it is still soft. For a two-year-old filly like that it is a little bit testing but the older horses will be fine." 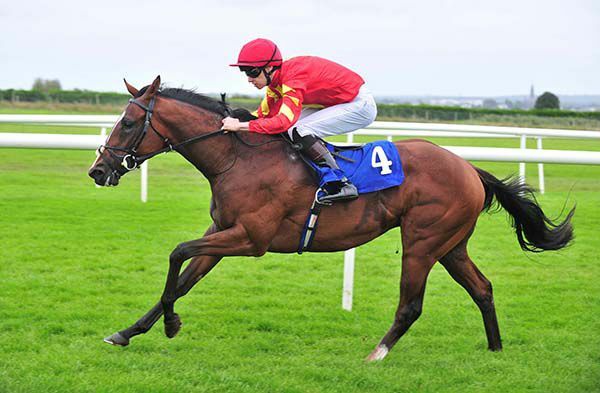 After winning the opener with Sebastiano Ricci, Joseph and Donnacha O'Brien doubled-up with Detailed in the Irish Stallion Farms EBF Fillies Handicap. 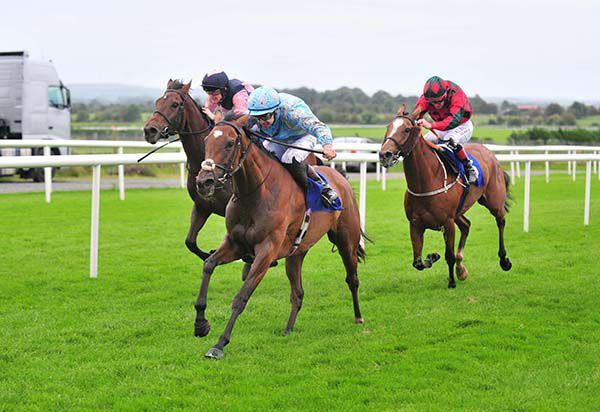 Having got off the mark at Ballinrobe in July, the daughter of Motivator then went down by half a length to Athenry Boy at the Galway Festival. She came home an easy six and a half length victor on her most recent effort at the Curragh, and was expected to follow-up this evening, as she went off the 7/4 favourite. Settled in mid-division, she was sixth before the entrance to the straight. She was soon pushed along and made good headway into third. She came with her challenge on the outer over a furlong from home and soon edged to the front, keeping on well to score by a length and three parts. Secret Existence ran a fine race to finish second on her first start since December. She was returned at 14/1 under Gary Halpin for Johnny Feane. Donnacha O'Brien said afterwards: "She's a tough little filly and has won carrying a big weight on soft ground. For a little filly she tries hard, and it's nice to get another win for her." Sebastiano Ricci got off the mark on his sixth career start, as he took the opener at Roscommon, the Irish Stallion Farms EBF Maiden. Newcomer Dubai Is Great was the only one punters wanted to know about in this seven furlong contest. The Jim Bolger trained bay was available at 3/1 last night, opening on-course at 4/6, before going off at 1/3. Settled in rear by Kevin Manning, the market leader was pushed along from early in the straight, and was a spent force with well over a furlong left to race. The Joseph O'Brien trained victor (who drifted from 2s to 3s on-course) raced in third, and got to the front a furlong and a half from home, keeping on well from there to score by three and a quarter lengths. Clueless Hill finished second under Rory Cleary for Luke Comer at 12/1, while Dubai Is Greatwas nine and a half lengths away in third. Donnacha O'Brien said afterwards: "He handled that ground well and that's what he wants. He was a bit keen early but did the job well." Successor did the job nicely at Wexford on Saturday. He’s got a workable rating and should have little trouble in adding a handicap or two along the way. Ligeti ran OK in the same race, his jumping was indifferent at times but again, once handicapped he should win races. Young Turk won his maiden hurdle at Bellewstown and he’s a nice horse for the future. I knew he’d appreciate the step up to 2m4f, and being a point-to-point winner, three-miles should bring about more improvement. He beat a horse Noel Meade rates highly in his point-to-point called Minella Fair. 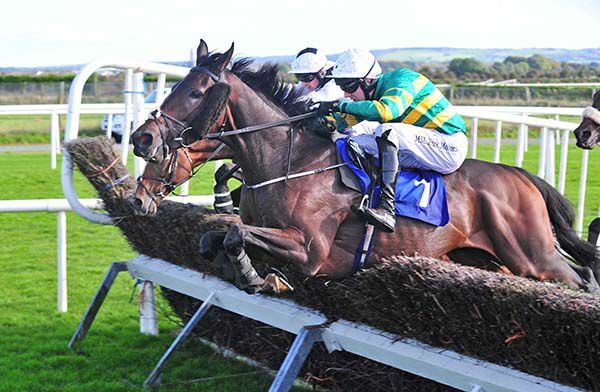 He’s your typical Gigginstown horse that should come into his own over fences. Valgor Du Ronceray is part of a Gigginstown dispersal heading to the sales this week so I was relieved to get a win from him before he moves on. He’s a reliable, consistent sort who could do well in the UK where the racing is sometimes not as competitive. 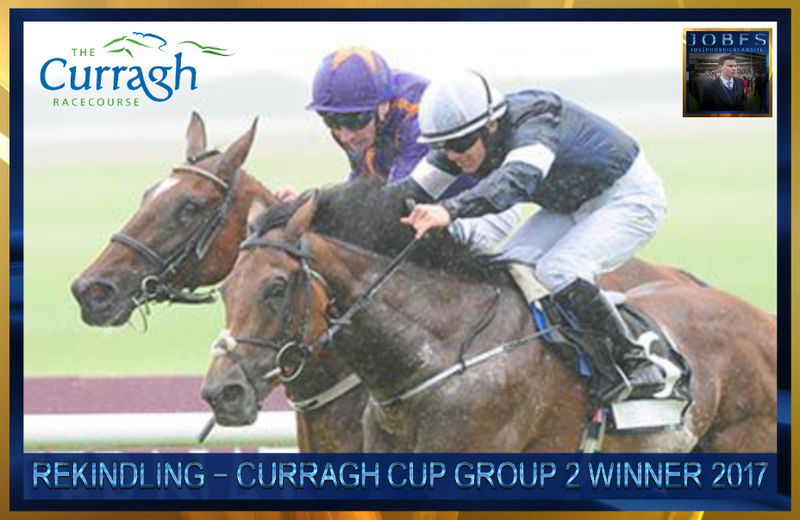 Looking ahead to Champions Weekend, Churchill will take all the beating in the Irish Champion Stakes. I thought his run in the Juddmonte International was an excellent run. Himself and Barney Roy might just have played the race to Ulysses. The encouraging thing to take from the race was how strong he was to the line, battling back to take second from Barney Roy. I was lucky to have had some great days on Order Of St George, and he’ll be very hard to beat in attempting to win the Irish St Leger for a second time. I think his versatility is one of his stand-out attributes, he’s as good over 2m4f as 1m6f, and had the class to finish third in the Prix de l’Arc de Triomphe last October over 1m4f. His dual with Big Orange in the Ascot Gold Cup will live long in the memory. 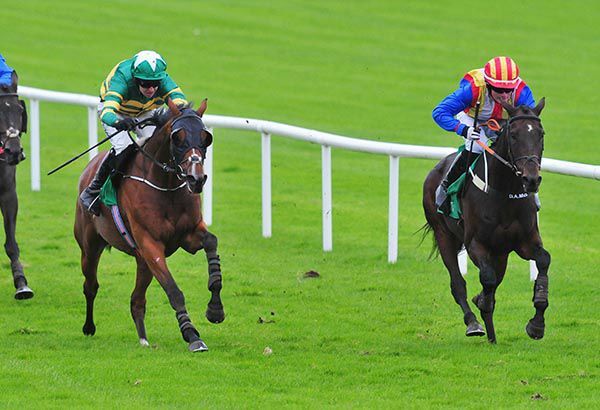 The rematch in the Irish St Leger could be the race of the weekend! Rekindling has got an entry in the Irish St Leger but the English equivalent at Doncaster is a more likely alternative. Intricately will run in the Matron Stakes on Saturday. I’ll run as many of the handicappers as is possible but it’s tough to get into the races, let alone win them! 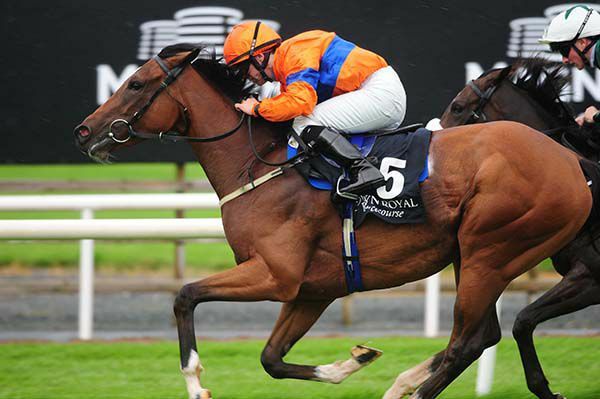 Galway Hurdle hero Tigris River could switch back to the Flat for the Betfred Cesarewitch at Newmarket. Joseph O'Brien's charge claimed his third successive victory in a thrilling renewal of the Ballybrit feature a month ago under Barry Geraghty, his fifth victory over hurdles overall. He has run just five times on the level, most recently winning at the Curragh in June, and while connections are not committing to future targets, a trip across the water on October 14 is in the melting pot. O'Brien said: " We've not made any firm plans, but we have a couple of options. 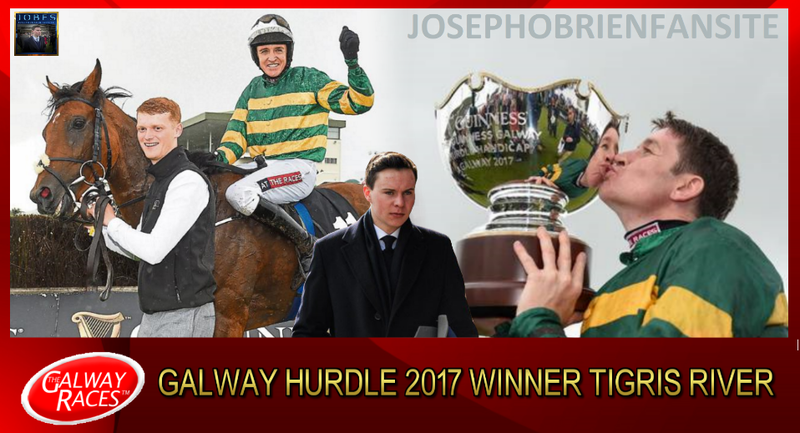 "There's a race for him at Tipperary at the start of October (Istabraq Hurdle) and he's also in the English Cesarewitch. "He has the entry (at Newmarket), so it's an option. It's good to leave our options open. Another O'Brien-trained and JP McManus-owned gelding who shone at Galway was the progressive Le Richebourg. The four-year-old son of Network extended his unbeaten record over jumps to three with an impressive display and O'Brien hopes there is more to come. "He had a little break after Galway as he'd had three runs in a fairly short space of time," the trainer added. "He seems in good form and there's also a race for him at the same Tipperary meeting in October, but we'll see how we go. "We're thinking of keeping him on the go during the winter, so we're in no great rush with him." Trainers have plenty on their plate when it comes to keeping owners abreast of plans and injury updates, getting horses into peak condition and ultimately preparing them to be in optimum shape to win races. As the saying goes, however, one must keep himself in the best of company and his horses the worst. How the especially busy and successful men and women of the training ranks manage all of these tasks, in addition to the myriad of others - such as talking to the media and dealing with staff - is quite remarkable at times. 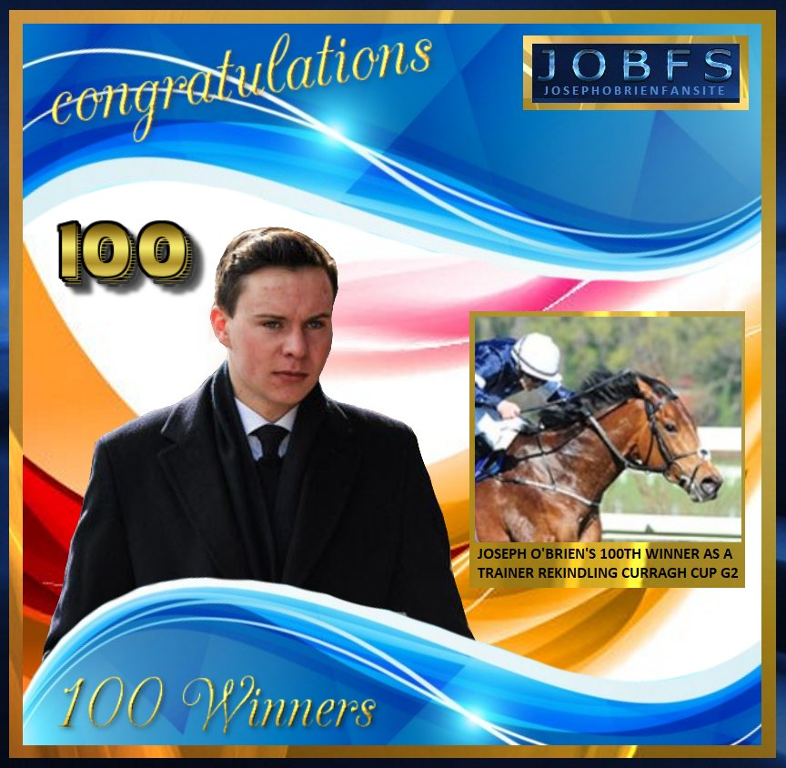 Joseph O'Brien has got in on the act by teaming up with Kevin Blake, a freelance journalist and breeder who works with the At The Races racing channel. "I have been assisting Joseph with regard to planning the right races for his horses," said Blake. "What makes it such an interesting challenge is that he is a proper dual-purpose trainer and there is a lot of scope to switch codes and disciplines with his horses in search of the best winning opportunities. 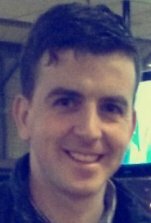 "I have also been doing pre-race tactical analysis, pedigree research for the sales and sourcing tried horses to buy into the yard - so there is a nice bit of variety to it." O'Brien has hovered around the top five in the Flat trainers' table this season, leading Dermot Weld for much of it. He has a 14pc strike-rate at Dundalk; he has won the Galway Hurdle - the richest hurdle race in Europe; and he is third, miles clear of fourth and not far off Elliott, in the Jumps table. Having JP McManus' patronage means he had a head-start, as well as the use of the magnificent gallops that grandfather Joe Crowley and father Aidan tinkered with over the years. Now, in adding Blake to the roster, he is looking for another slight edge, and it will be interesting to see how it works out for what is surely a future champion trainer, still aged just 24. Rekindling is set for a second tilt at Classic glory in either next Sunday's Comer Group International Irish St Leger at the Curragh or the William Hill St Leger at Doncaster the following Saturday. Joseph O'Brien's colt was disappointing in the Epsom Derby in early June but bounced back to beat last year's Irish Leger hero Wicklow Brave in the Curragh Cup in July. The son of High Chaparral was last seen chasing home leading older stayer Order Of St George in the Irish Leger Trial at the Curragh. Rekindling, who is owned by Australian Lloyd Williams, has been mentioned as a possible runner in the Melbourne Cup, but O'Brien is in no rush to commit to a trip Down Under. "I'd say we'll go for either the English Leger or the Irish Leger and take it from there," said the County Kilkenny-based trainer. "He seems in very good form and we were delighted with how he ran the other day. "In fairness to him, he's been running well all year apart from in the Derby." 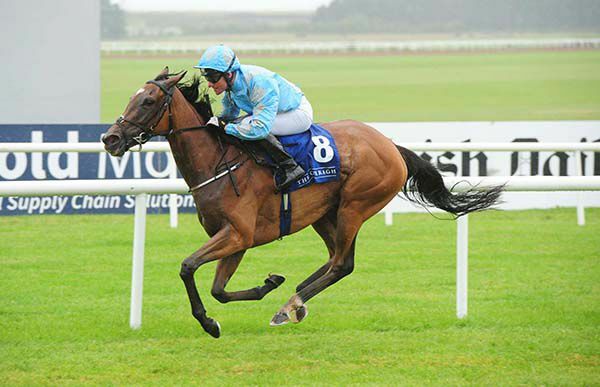 Providing the meeting passes an 8am inspection, Detailed will aim to secure her third victory of the campaign in the Irish Stallion Farms EBF Fillies Handicap at Roscommon on Monday evening. After hinting her turn was not far away on a few occasions, the daughter of Motivator opened her account with a cosy success at Ballinrobe in July. She was only narrowly denied when bidding to follow up at the Galway Festival last month and got back on the winning trail with a dominant six-and-a-half-length success at the Curragh a fortnight ago. 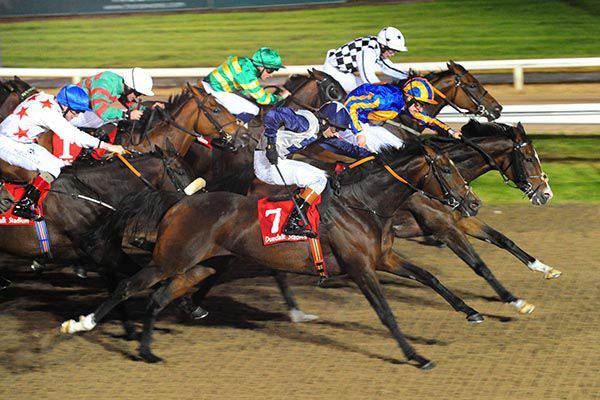 The handicapper has reacted by handing her an 11lb hike in the weights, but Detailed is clearly on an upward curve and will take plenty of beating in the €25,000 feature. Joey's charge faces six opponents, with Sheila Lavery's Hillcrest Fire, not seen since scoring at Cork in May, her biggest threat. Proceedings get under way with the Irish Stallion Farms EBF Maiden. Sebastiano Ricci and Raynama both bring useful form to the table, but it would be no surprise to see Jim Bolger's Godolphin-owned newcomer Dubai Is Great make a successful debut. Mark Walsh got Successor's head in front on the line to claim the opening Audrey McGrath Memorial Maiden Hurdle at Wexford. The Joseph O'Brien-trained gelding travelled well into contention turning for home in the two-miler but Diego Manchego looked like he might hold on from the last when the JP McManus horse came under pressure. Walsh conjured a late charge from his mount, who carried his head highly, and he just got the verdict by a short-head at the post. The 4/1 winner had shown improvement over hurdles last time when chasing home Nellie Pledge at Sligo. "I didn't know whether he'd got up. It was on the bob and it looked like he put his head down at the right time,” said Walsh afterwards. “The first time tongue strap was a help and the good ground helped him too. He is rated 112 so he is entitled to win a race like that. He is rated 82 on the Flat I think so he wasn't winning out of turn."